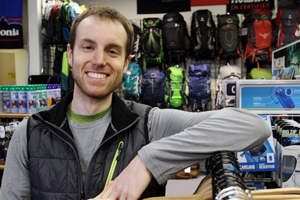 Colin has been with The Trail House since 2011, and likes to cycle the area as well as hike local trails. He is ready and able to share his knowledge of the outdoors and the Frederick area with anyone that has questions. Clyde and Gerry are the owners of the Trail House. In Clyde’s free time he can be found mountain biking in the Frederick City Watershed as well as backpacking and hiking. 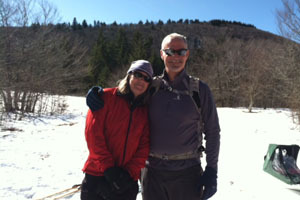 Gerry enjoys Alpine or Nordic Skiing, backpacking, and hiking as well. An annual western ski trip is a highlight for both. 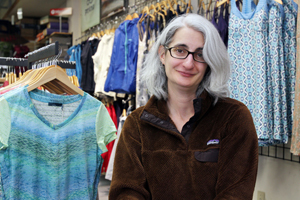 Their goal is to make sure all customers enjoy shopping at the Trail House while receiving great service from our knowledgeable staff. They both enjoy meeting all our customers and hearing about their outdoor adventures. 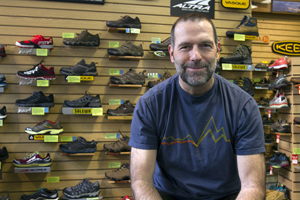 Located in Historic Downtown Frederick, Maryland, The Trail House offers a wide selection of products from clothing, backpacks, sleeping bags, tents, climbing gear, to an extensive array of both technical and casual footwear. © 2016 The Trail House All rights reserved.